It is amazing the number of ways that voters’ names have quietly (and sometimes not so quietly) been removed from the rolls as we approach the midterm elections. States with contentious, close political races seem particularly prone to this. At this point, it might be hard to pick an exemplar, the leading state in voter suppression, but Georgia would be high on the list. In August, Brian Kemp, Secretary of State and candidate for governor of Georgia, allowed a plan to close seven of nine polling places in a largely rural, largely African-American county due to noncompliance with the Americans with Disabilities Act. The outcry was loud and clear from the NAACP, the ACLU of Georgia, and other groups that threatened to sue. The two-member Randolph County Board of Elections voted the proposal down, leaving some egg on Kemp’s face. Kemp has refused to step down from his role of overseeing Georgia’s elections as he runs for governor. After one failed attempt to disenfranchise voters of color before an election facing an opponent, Stacey Abrams, who’s a Black woman, one would think that Kemp might lay low. But think again. This past week, it has come to light that at least 53,000 voter registrations, the majority of them African Americans, are being held for additional screening that may prevent them from being able to vote in the November election. The reason for the “hold,” as claimed by the Secretary of State’s office, is failure to comply with the “exact match” system of the state. Under this system, information on a voter application must exactly match data on file with the state’s Department of Driver Services or the Social Security Administration. If the information does not match—often due to things like a misspelled name, a middle name not being fully written out, or a missing hyphen—an application is held for additional screening and the applicant is notified and given a period to correct their information. The AP says there was a significant racial disparity among the applications flagged in the system. While the state is roughly one-third black, 70 percent of the 53,000 applications held are from black Georgians. While Kemp says those among the 53,000 can still vote via a provisional ballot, his statements have been met with great fury by the NAACP, voting rights groups, and, of course, his opponent, who has taken him on around voting rights long before they became political opponents for the governorship. A team of database experts, statisticians, lawyers, and investigators working with the Palast Investigative Fund discovered—and Indiana now admits—that these thousands of voters were cancelled in violation of a June 2018 federal court order that barred the state from using the notorious Interstate Crosscheck purge list sent to state officials by Kris Kobach, Secretary of State of Kansas. Indiana claimed these voters were being removed from the rolls because they moved out of state. But the Post Office indicates that only 7,000 of them had moved. Something is not right here. And then there is North Dakota, where the population of Native Americans could make a clear difference in the outcome of a hotly contested Senate race. A lower court decision that only those with IDs that have street addresses may vote in North Dakota was upheld last week by the Supreme Court. This leaves a huge swath of the population of this state disenfranchised due to having post office box numbers in lieu of official street addresses. 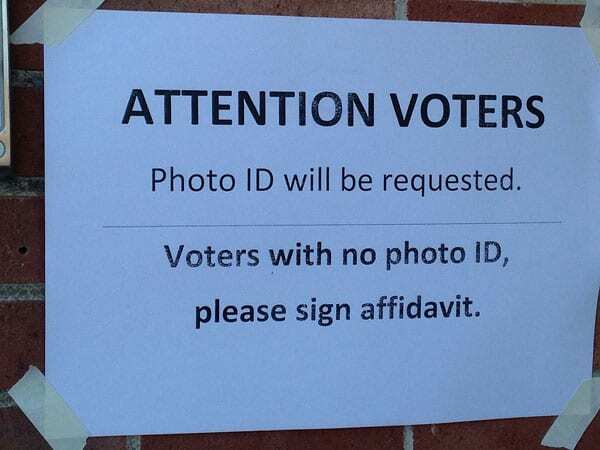 It is a clever new twist on voter suppression, but one that may have a workaround. The new voting rights bill is yet another instance of an issue that’s important to the people being blocked by politicians.